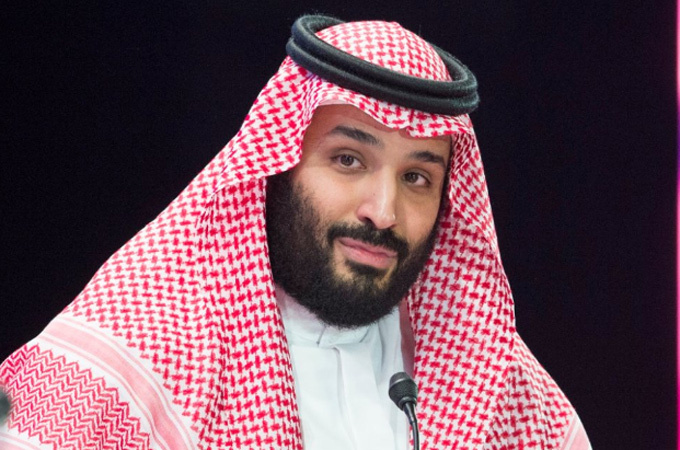 Saudi Arabia's Crown Prince His Royal Highness Prince Mohammed bin Salman bin Abdulaziz has laid the foundation stone for the kingdom's first nuclear research reactor. The project is one of seven major projects in the fields of renewable energy, atomic energy, water desalination, genetic medicine and aircraft design that were launched by the Crown Prince yesterday, during his visit to King Abdulaziz City for Science and Technology (KACST), the Saudi Press Agency reported. The projects comprise three giant developments: the nuclear research reactor; a centre for developing aircraft fuselage; and the Saudi Central Laboratory for Human Genome. The design of the reactor has been developed by KACST scientists with the help of international experts. Construction of the reactor is already under way and expected to be completed by the end of next year, said an Arab News report. It will follow all the safety standards of the International Atomic Energy Agency. The reactor is designed to use uranium oxide fuel with 2.1 per cent enrichment. The kingdom plans to build two full nuclear power reactors for energy and as many as 16 over the next 25 years, the Arab News said. Meanwhile, the SR4-billion Saudi Central Laboratory for Human Genome, which documents a map for the genetics of the Saudi society, will be equipped to diagnose a large number of genetic diseases. The other projects launched by the Crown Prince included a solar energy-powered desalination station in Khafji with a capacity of 60,000 cu m per day; two production lines for solar panels and cells; and a laboratory to check credibility of solar panels, to be based in Uyaynah. Another major project reviewed by the Crown Prince is the centre for the development of aircraft fuselage to be based at King Khalid International Airport. The centre is one of the largest buildings for developing aircraft in the Middle East with an area of 27,000 sq m with plans to expand it to 92,000 sq m. The centre has the capacity to manufacture most aircraft structures, whether civilian or military. Upon arrival at the venue, HRH Crown Prince was received by Energy, Industry and Mineral Resources Engineer Khalid bin Abdulaziz Al-Faleh, who is also the chairman of KACST, and Prince Turki bin Saud bin Mohammed, president of KACST.